I REALLY like this card. I learned the technique over at Linda Heller’s Stamping School. I kept, pretty much, the same dimensions that she used for her card, but I changed up the stamps and finishing touches. 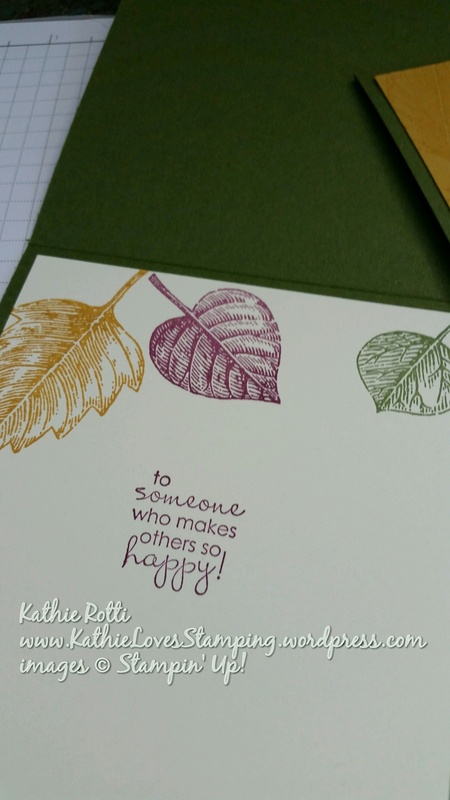 I used the Vintage Leaves and Petite Pairs stamp sets from the 2015-2016 Stampin’ Up Annual Catalog. Delightful Dijon, Rich Razzleberry and Mossy Meadow are my ink /cardstock colors. 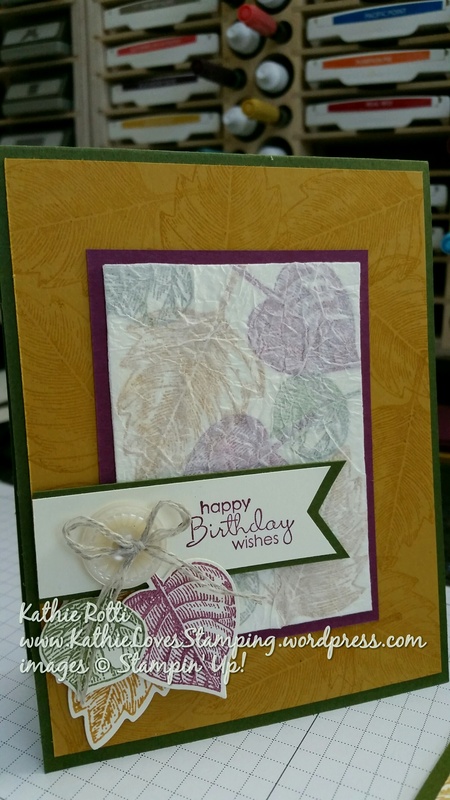 I “stamped off” the Delightful Dijon background leaves before stamping, to lessen their intensity. I didn’t want the background to overpower the focal point of the “Faux Silk”. I randomly stamped 3 of the leaves from the stamp set on a 2.5″ x 3.5″ piece of Very Vanilla cardstock. After letting it dry well, I coated it with a Stampin’ Glue Stick. 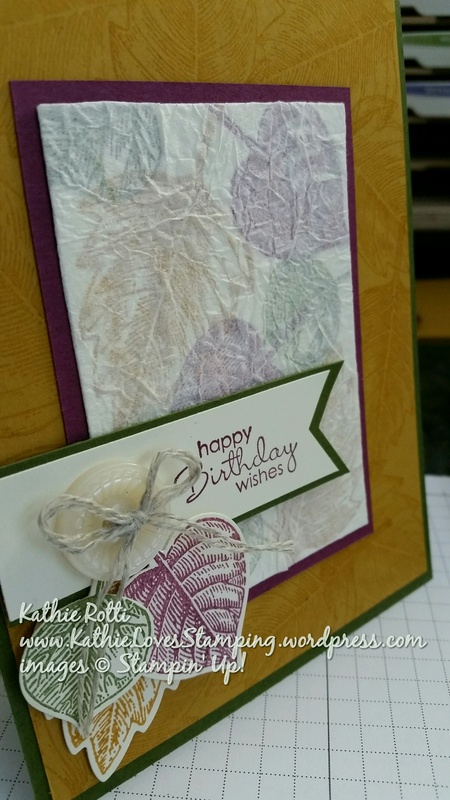 I took a 3″ x 4″ piece of Stampin’ Up!’s white filter paper, balled it up to get it all wrinkly and then roughly slapped it onto the front of the glued-up piece. I wrapped the edges around the back, securing with snail adhesive. Ta-da! Faux Silk! I added a finishing touch with a Classy Designer Button, linen thread and 3 leaves cut out with the Leaflet Thinlets. A few dimensionals to pop up the banner and 2 of the leaves and you’re done! …and don’t forget to carry over the theme to the inside of the card!